Millions of people around the world are seeing excellent weight loss and health improvement results by following the intermittent fasting diet. The diet goes by many names including 5:2 Intermittent Fasting, the Mosley Diet, the FastDiet, and The Dukan Diet. Although there are subtle differences between the diets, the principles remain the same. In spite of the fact that research must still confirm many of the health claims made by these diets, the feast now, famine later approach to eating can potentially help you to drop pounds, improve health, and even live longer. Add to that the fact that you can eat whatever you like for five days a week and restrict calories for two days a week and this diet starts sounding like an eating plan made in heaven. Intermittent fasting is by no means new. Fasting as a means to help treat disease is as old as the bible itself and it is a part of almost every religion. Lose weight for the individuals involved in the study. 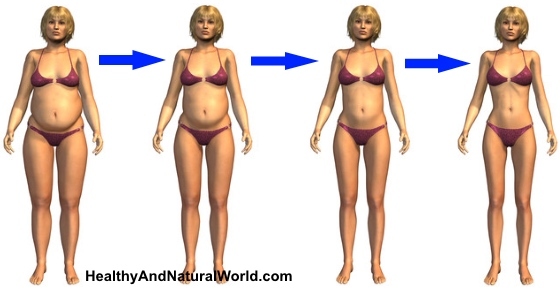 The science behind the diet is that as humans we evolved on a fast/famine diet. Tribes of old times did not have constant access to food but rather had a famine/feast type situation. When the tribe returned with meat, the tribe had a feast and then the tribe experienced famine before the next hunt. The principles of this diet are quite simple and they are based on a documentary by British TV host and doctor Michael Mosley who wrote the book The Fast Diet based on his experience. Doctor Michael Mosley experimented with intermittent fasting to see if it helped him lose weight and feel better. Mosley looked into the many recent studies on food restriction, weight loss, and aging, interviewing the primary researchers. He tried various methods out on himself, starting with a full fast and eventually arriving at a ratio that worked for him: 2 days of partial fasting interspersed with 5 days of normal eating. The result: 20 pounds lost in nine weeks, along with a drop in cholesterol and blood sugar levels. The 5:2 Diet involves eating as you normally do five days a week and restricting your calorie intake on remaining days to just 500 calories (2,100 kilojoules) for women and 600 calories (2,500 kilojoules) for men – well below the average recommendation of 2,000 a day for women. The bottom line is that when you are trying to lose weight, you need your body to burn fat. Leptin, ghrelin, and insulin levels all play a very important role in how your body burns fuels for energy, what fuel it burns, and when your body tells you to eat. Individuals who are obese, for example, often have low insulin and leptin sensitivity that means they are hungry all the time and they don’t burn fat but rather store it. Intermittent fasting may help to normalize leptin and insulin levels. Insulin sensitivity is not only vital for weight loss, but it is also a very important factor for determining your risk of developing diseases like Type II Diabetes. Essentially, fasting may help to turn your body into a fat burning machine and in the process, it may help to regulate other important hormonal levels that help to reduce your risks of cardiovascular disease, diabetes, and many others. You can find more information on how to regulate your hormones to lose belly fat in my eBook Blast Your Belly Fat. The downside to Intermittent Fasting is that there are no hard and fast rules at this stage on the precise protocols or techniques needed for this diet. This is why much of the research is not accepted as proof of the advantages of fasting as a credible way to lose weight and to improve health. But it’s not all bad news. You can’t argue with the results of weight loss of 8 pounds in 8 weeks according to a research published in Nutrition & Metabolism in 2012. Although the studies are different in terms of periods used for fasting and calories consumed during the fasting period, most of the individuals who participated in the studies lost weight. A healthy diet is vital for supporting your body, but there are distinct advantages and disadvantages to trying to follow certain types of diets. Trying to balance a “normal” life with a set of very specific diet instructions can be almost impossible at times. If your career includes business lunches then you often find yourself picking at a salad, hoping the dressing is one that is allowed on your diet. Trying to enjoy a night out with friends has much the same result. Diets don’t last when you need to rearrange your life around your diet. Eat whatever you like (as long as you stick to the daily calorie requirements) although my personal recommendation is to avoid any type of fake food or foods that contain one of these 10 ingredients. You also get to choose which days are your fasting days. This means you have the freedom to arrange your week to suit your current lifestyle rather than rearranging your lifestyle to fit your diet. For many individuals, ingredients in certain diets also pose a problem in terms of the diet. Ingredients may not be readily available or they are often quite expensive and not normally a part of your diet. Since you can eat what you like, the fasting diets offer you an opportunity to eat what you normally eat, making it really easy to adapt to your current lifestyle. This can dramatically increase your chances of sticking to the diet in the long term. But before you think this diet is perfect, there are a few potential side-effects or disadvantages associated with the diet. Since the research on intermittent fasting is sparse, disadvantages of being on the 5:2 diet are based on individual experience and anecdotal evidence of the diet. Side effects of the diet include the fact that some individuals experience a disruption in their sleeping patterns and may have trouble sleeping. Other individuals have developed bad breath similar to the type experienced by individuals on low carb diets. Some individuals have also experienced irritability, anxiety, and fatigue on fasting days. Dehydration may also be an issue for some individuals. If you are interested in applying this type of diet technique to your lifestyle for weight loss purposes, or to improve your health, then it is best to invest in one of the books like the beginners guide for the 5:2 intermittent fasting diet to clarify the details of the diet and the techniques used. You should also consult your physician before undertaking this diet, because fasting is not suitable or recommended for everyone. There are certain health conditions that can be adversely affected by periods of fasting. I wrote about a woman who lost 88 pounds in one year without a strict diet by only making 3 simple changes. If you want to lose weight and improve your health then you only need to walk – find out how much walking you need to lose weight. You can make these simple 12 tweaks for weight loss and great health. Learn about these 9 secrets of losing weight without diet. Love all the valid advice you give! Thank you. Really going to try and abide by the tips re ACV and the 5:2 diet – just for starters. The tips on Vicks Vapo Rub are worth noting. Great post, its made me understand the 5:2 diet a little bit more. I have heard about it in the past and I have never been one to try diets myself, but I think this one has been more popular with people seeing great results. So on 5 days of the week you eat the daily recommended allowance of your calories which is 2000 for women and 2500 for men and then 2 days being 500? and it can be any 2 days of the week? I like to eat lower than the normal daily allowance is this recommended on the 5:2 diet? Hi Adam, the calories on a non-fast day are influenced by several factors, such as your activity level, height and weight. For more information on how much calories you should consume, you can use the online calculator in the official site of the 5:2 fast diet – see here. It will give you a better idea of the recommended calorie intake specifically for you rather than a general recommendation. So on non fasting days the calories you should consume are likely, to what you would burn on a daily basis? TDEE? Yes, it’s the TDEE. This is the number of calories you need to consume on the days you’re not fasting. I’ve see a HUUUUGE benefit from IF! I cheat sometimes an widen my window to 10 hours, but even then I still see a great uptick in overall health. I’ve got several underlying conditions that are heavy hitters on my liver and kidneys (kidnies?) and allowing my body the extra maintenance time is incomparable. You will need to give it a try and see if it works for you and if you can adhere to this type of diet.